European Operations - Bois B.V.
A fully utilised BOIS warehouse and maintenance support services are based in the Netherlands, covering customer operations in Europe, Central Asia and Africa. 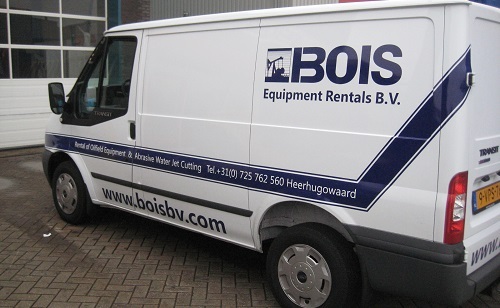 New-build equipment, mainly from European manufacturers, is collected and inspected in Holland and distributed to the BOIS support facilities or diverted direct to the customers. Development of equipment and the design of it, improvement of the performance of the equipment as well as putting together dedicated packages and performance advice, is initiated from the Dutch office. A concentration of technical knowledge is available in the BOIS workshop. Our employees are certified and competent for independent lifting certification and a variety of inspection certification. In-house, or if required in-the–field, pressure testing and camera inspections, are utilised out of the Dutch office.